While this is no longer applicable, we left for all to read here.  We are a growing coalition of Los Angeles restaurants and bars who stand in support of Mayor Garcetti’s proposed wage increase IF done in a considered manner. We believe that there is a solution that provides higher wages for those who need it most AND allows us to remain in business, providing tens of thousands of quality jobs for Angelenos. The harsh reality of our industry is that we work on the slimmest of margins already and an across the board increase to all employees of between $4.25 and $6.25 would render most independent, honest, quality driven operators unprofitable. Our goal is to save jobs and to maintain our livelihoods. We are committed to working with the Mayor and the City Council towards an effective plan that benefits both labor and business, as well as the city of Los Angeles. Independent and small restaurants, when united have a stronger voice. Fill out the form below to join the cause. 4) An urgent request to study the rent and housing cost crisis in Los Angeles. The city-commissioned economic study, and the two other privately commissioned studies failed to include details of the costs and plight associated with operating an independent restaurant. We are and have been prepared to share details of our economic reality with the City Council and the Mayor at their immediate request. Our industry is one in which business failure is far more common than success. This is due to a number of factors including (1) extreme market sensitivity to pricing and (2) extremely high operating costs -- particularly labor. If labor costs increase by 66% over the course of only four years there is very little an independent restaurant operator can do to react in any meaningful manner. The result would be one of major devastation to an industry that is so much a part of the fabric of Los Angeles culture. It is important to note that in our local restaurant businesses, we already pay above the minimum wage to most, if not all, non-tipped employees, meaning that nearly 100% of our minimum wage employees are tipped wage earners. In the overwhelming majority of cases, these tipped employees earn a total compensation well in excess of the current or any proposed minimum wage per hour. This is not where the increased base wages are most needed. It is with the non-tipped employees working in the “back of the house.” Employers are required to pay payroll taxes on tipped income, yet the same tipped income is not treated as wages, and currently may not be used to satisfy minimum wage requirements. We are pleased to offer a higher wage to our non-tipped employees but cannot absorb having to provide the same pay increase to tipped employees who already earn well above the current or proposed minimum wage. We would very much like to create better equality in wages between the “front” and “back” of the house in our businesses. This proposed sudden and dramatic increase in costs is of grave concern to our industry which already has net profit margins averaging a mere 5% and less than 1% in recessionary periods. Not considered by any study to date, employers are currently spending $15 to $17 per hour in labor cost, on a $9.00 base minimum wage. When discussing minimum wage, the term “base” is integral, as the actual total compensation is much higher. Workers compensation and payroll taxes are also a multiplier of the base wage. The actual base wage is only a portion of the total labor cost paid by an employer for every single employee. Further, for our businesses, this isn't simply a minimum wage increase. It's an overall wage increase. Wage compression will cause all labor costs to rise. The rate of a prep cook, line cook and so on will have to be increased from their current rates which are above the minimum rate, as the pay for entry level positions increases. Further, the equation for entry-level manager salaries is based on a multiple of the minimum wage. If entry-level positions garner upwards of $50,000 per year, then the more senior positions must increase accordingly. This is, simply put, an unsustainable model. The nature of this business does not allow for sharp increases in prices that would mitigate such dramatic spikes in labor cost. While those less familiar with restaurant economics might assume that restaurants could simply raise prices to compensate for increased costs, this is just not the case. In fact, the full-service restaurant business (i.e. not fast food) faces a highly elastic consumer demand, where increases in price are directly related to a drop in demand, due to the fact that we are an industry dependent on consumer choice. Whereas factories, manufacturing, farms and other similar industries sell their goods to, and also outside of a region, independent restaurants only sell locally. Their income and consumer base is limited to that. And while most any sort of industry can leave higher cost cities, as we've seen in the film and television industry, aerospace and more, restaurants cannot move in order to stay within budget -- they simply close. This is simple science and we have studied it from every angle. At a time when the independent restaurant business is thriving in Los Angeles, providing scores of quality career preparatory jobs, a failure to embrace our sound, meritorious solution puts the industry in a real state of peril. Income disparity in Los Angeles is wide and deep and deserves the immediate attention of the Mayor and City Council. Serious action is needed to help find solutions for skyrocketing housing costs and a growing income gap in a city that with a quickly disappearing middle class and an ever increasing group of the working poor.